Brilliant job your friend will love it. Hope the weather gets better for you soon. Thank you for playing along this week at The Stamping Boutique. Good luck in the challenge and I hope to see you in the next challenge. Adorable card! Thanks for joining us at The Stamping Boutique. Life is a bit manic at the moment so my commenting has gone a bit to pot .. .. but I will be back on track soon. Loving your card. 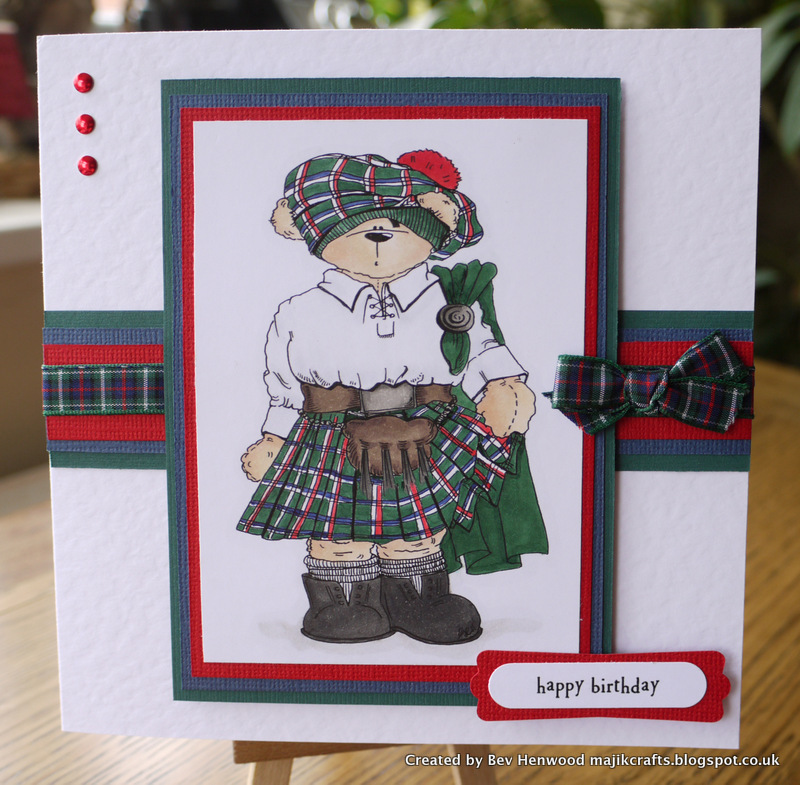 I made this for one of our Scottish friends last year .. .. but it didn't look this good. Love how you have replicated the ribbon into your image. Gorgeous colours and all super neat .. .. I love it (as I am sure your friend did).